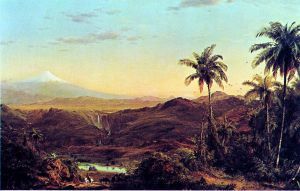 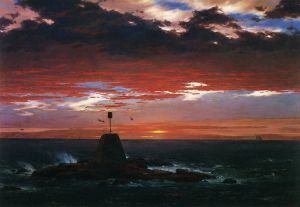 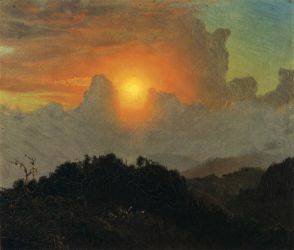 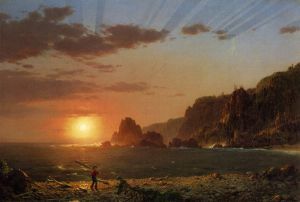 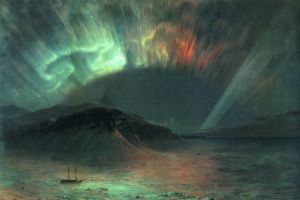 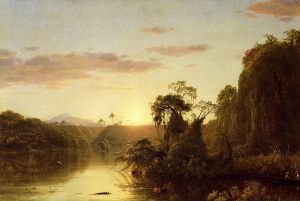 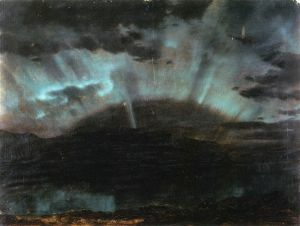 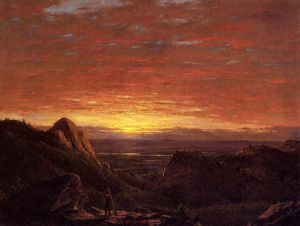 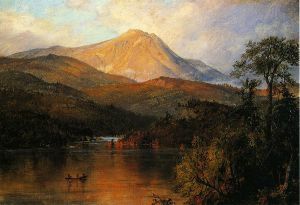 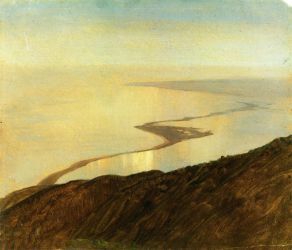 Frederic Edwin Church (May 4, 1826 – April 7, 1900) was an American landscape painter born in Hartford, Connecticut. 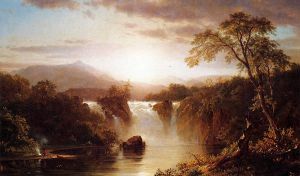 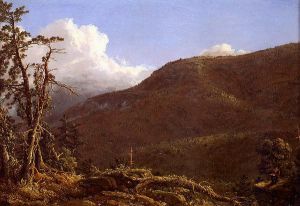 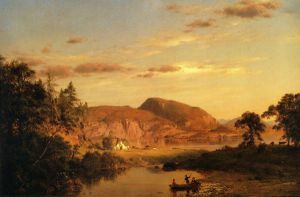 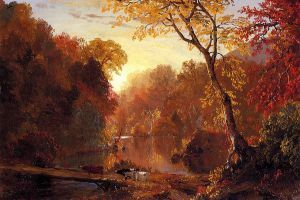 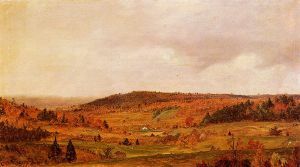 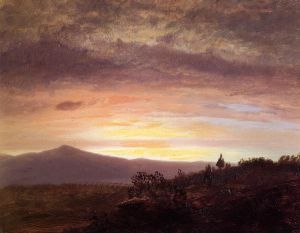 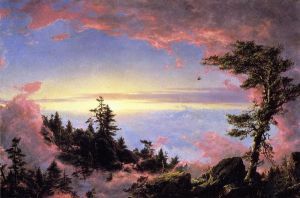 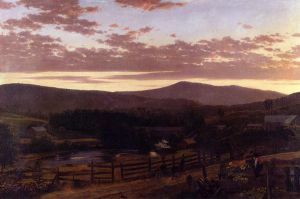 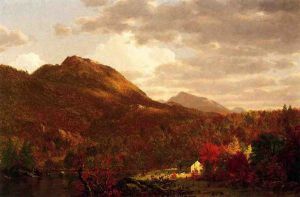 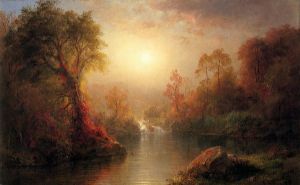 He was a central figure in the Hudson River School of American landscape painters. 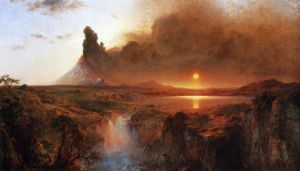 While committed to the natural sciences, he was "always concerned with including a spiritual dimension in his works". 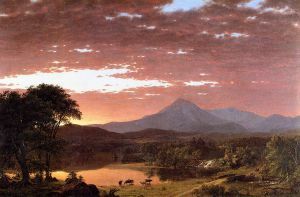 The family wealth came from Church's father, Joseph Church, a silversmith and watchmaker in Hartford, Connecticut. 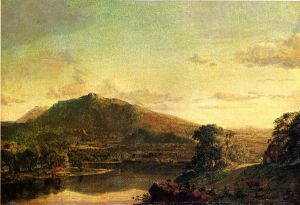 (Joseph subsequently also became an official and a director of The Aetna Life Insurance Company) Joseph, in turn, was the son of Samuel Church, who founded the first paper mill in Lee, Massachusetts in the Berkshires, and this allowed him(Frederic) to pursue his interest in art from a very early age. 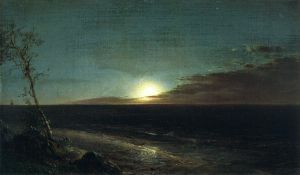 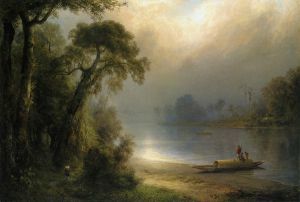 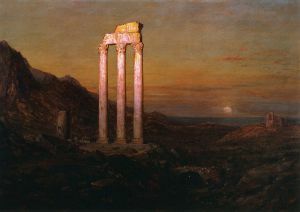 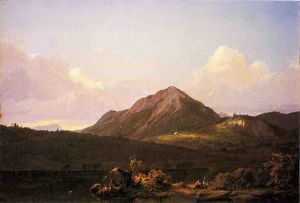 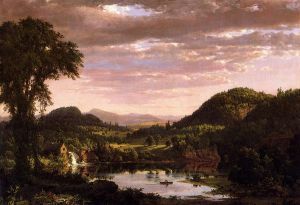 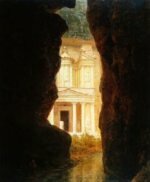 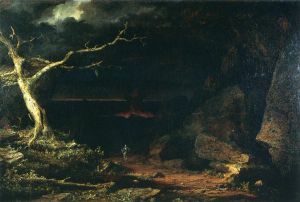 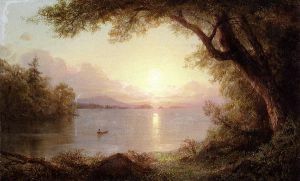 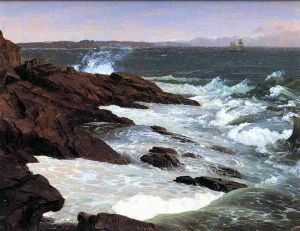 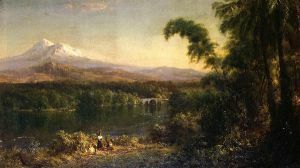 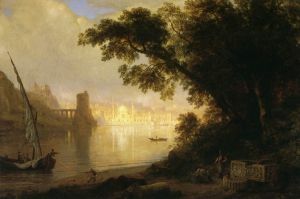 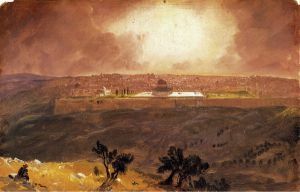 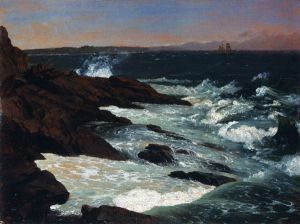 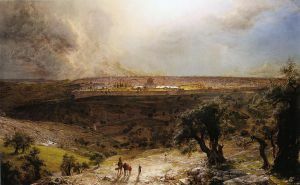 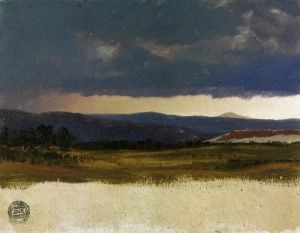 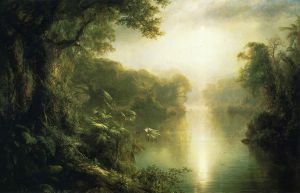 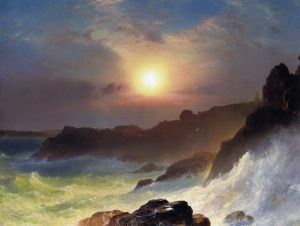 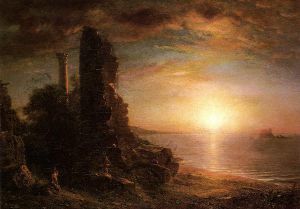 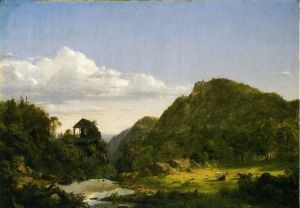 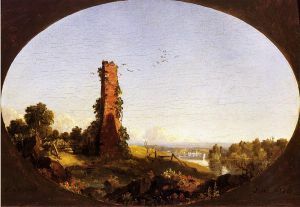 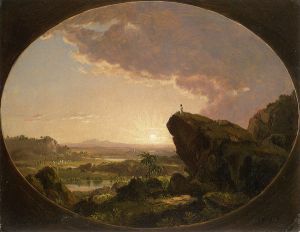 At eighteen years of age, Church became the pupil of Thomas Cole in Catskill, New York after Daniel Wadsworth, a family neighbor and founder of the Wadsworth Atheneum, introduced the two. 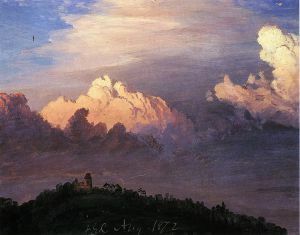 In May 1848, Church was elected as the youngest Associate of the National Academy of Design and was promoted to Academician the following year. 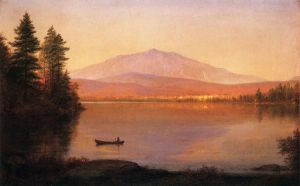 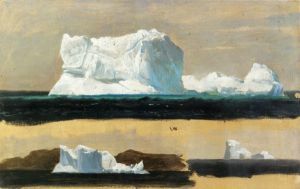 Soon after, he sold his first major work to Hartford's Wadsworth Atheneum. 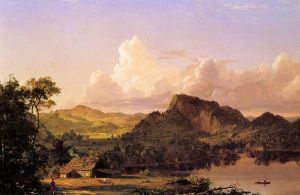 Church settled in New York where he taught his first pupil, William James Stillman. 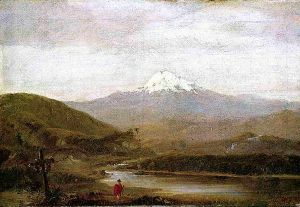 From the spring to autumn each year Church would travel, often by foot, sketching. 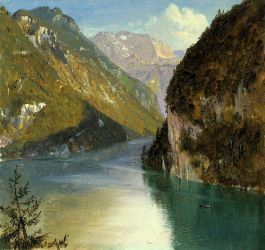 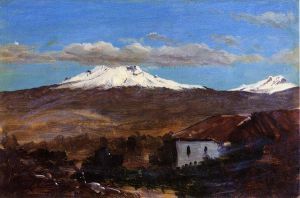 He returned each winter to paint and to sell his work. 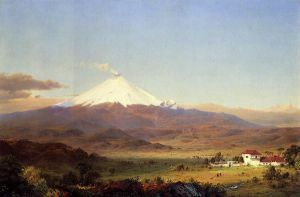 In 1853 and 1857, Church traveled in South America. 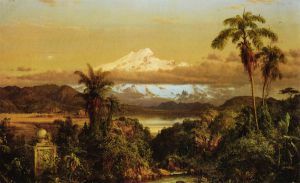 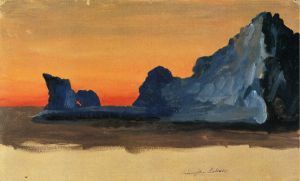 One trip was financed by businessman Cyrus West Field, who wished to use Church's paintings to lure investors to his South American ventures. 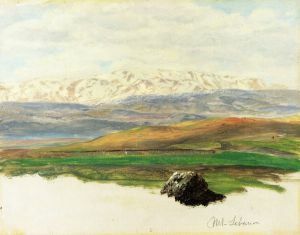 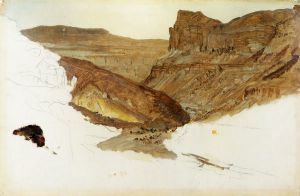 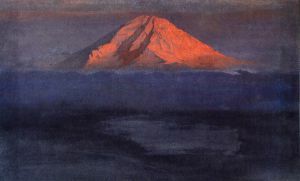 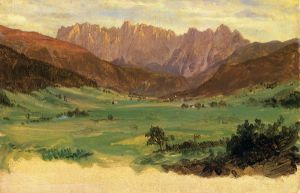 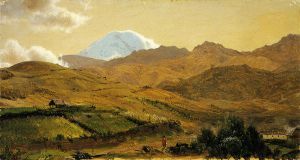 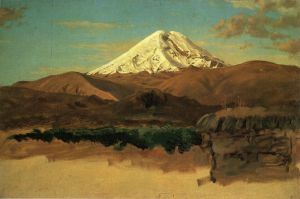 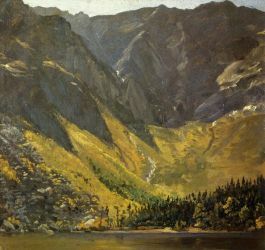 Church was inspired by the Prussian explorer Alexander von Humboldt's Cosmos and his exploration of the continent; Humboldt had challenged artists to portray the "physiognomy" of the Andes.